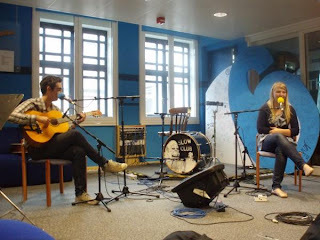 Slow Club are a two piece from Sheffield consisting of Charles & Rebecca and this is really the first thing I've heard by them apart from a track on a Moshi Moshi sampler a while ago. Nothing much really can be said about them apart because the songs are just so simple and whole heatedly wonderful. These tracks come from a sampler for the bands debut album which will be released later in the year.